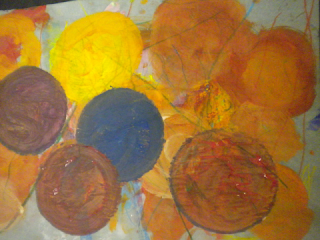 This project was inspired by the book, Round is a Mooncake: A Book of Shapes, written by Roseanne Thong, and illustrated by Grace Lin. For this project we decided to concentrate on the shape of the circle. 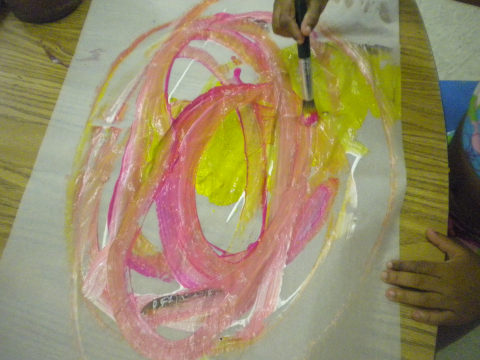 The students used big brushes and mixed warm and cool tempera colors on wax paper. 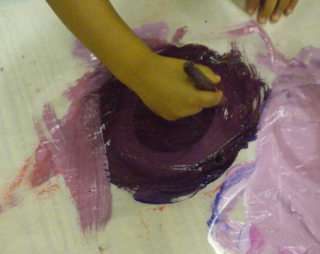 To help us learn how to create perfect circles we used an embroidery hoop. 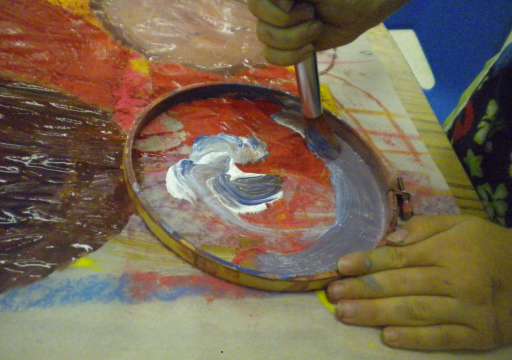 We first created free hand circles using big brushes. Using an embroidery hoop to create our circles. We observed the difference between free hand circles and using the hoop. Student comment: "I can count five circles". 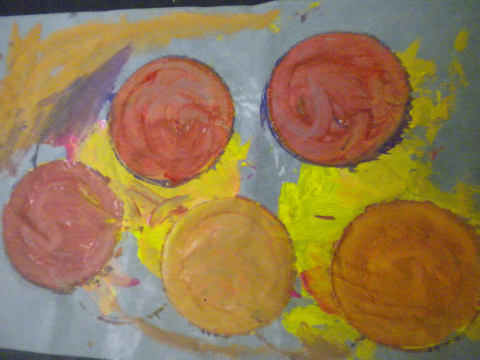 Student comment: "I like the orange circle the best because it is the biggest." 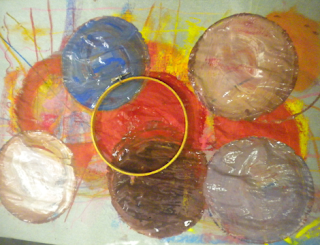 So you can teach to mix paints.Red, Yellow and Blue!Hoop (по-русски-пяльца) is great! Interesting technique for the play of color, the end result is excellent. 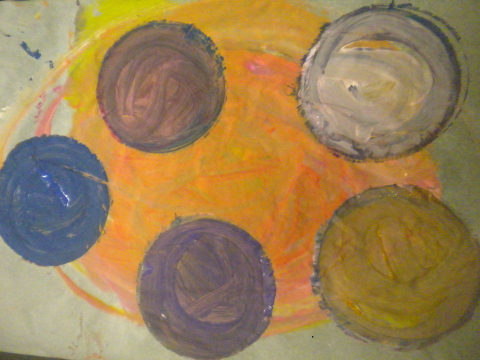 Very cool exercise and adults and children ! well done for the nice work! How fantastic! Getting all messy with beautiful paint and studying shapes. 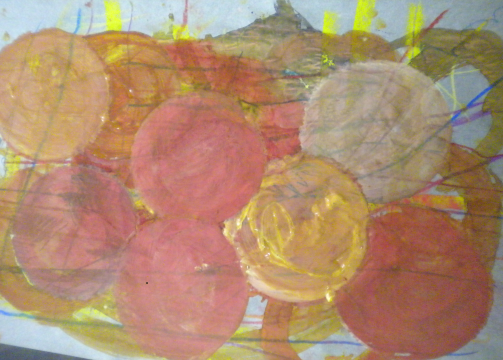 I used to teach maths using some art techniques..it is a great way to really learn.